Our leadership team has the right skills to successfully transition your School to Aeries Software, train your staff, and manage your software needs. Our administrative, technical, and support staff brings over 580 aggregate years of experience to the development, implementation management, and support of Aeries. Barry has had a long career with California Student Information Systems development and was one of the three founders of Aeries Software. 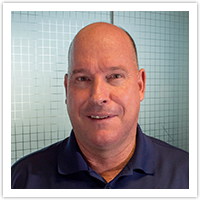 Barry has extensive experience in the design and development of Aeries SIS, oversight of systems development, data conversion, support, Aeries implementation, and management of Aeries Software. 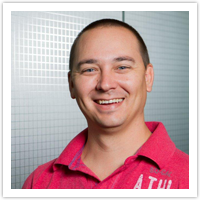 Growing up around the family company, Brent has strived to work for Aeries Software his whole life. Brent officially began in a part-time capacity in 2009 while attending Loyola Marymount University. Since graduating from LMU with a Bachelors in Business Administration in 2011, Brent took over the duties of former Vice President John Walden upon his retirement. Brent now oversees many of the day-to-day operations of the company, as well as contract administration and company finances. 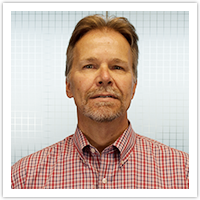 Camden has been with Aeries Software since 1998. Starting as an intern and Jr. Programmer, Camden grew as a developer under the guidance of founder, Jerry Lloyd. He now manages the team of developers working on Aeries SIS and engages with current and potential customers to identify needs and to prioritize their development. Camden has in-depth knowledge about all aspects of the Aeries Student Information System and continues to build his knowledge of the entire K-12 education space in order to better guide the future development of Aeries. 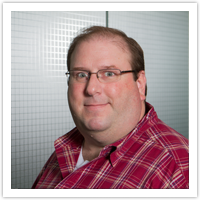 Frank has worked with Aeries Software since 2004, including six years in First Level Support, then four years in Second Level Support. As Support Manager, Frank has capitalized on his extensive support experience to guide the department with continued excellence and a customer-first attitude. 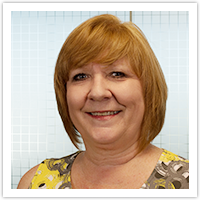 Terese has worked for Aeries since 1998. She was personally hired by our Founder Jerry D. Lloyd and has been a loyal and valued part of our Team. Her passion for the product and its revolution is evident in every implementation of which Terese has been a part. Her previous employment at Arcadia USD has paved a road for the support team and training team to rely on her expertise. Her experience with District/School Set up, and best practices have made her a staple presenter at every Aeries User Conference. Michele has worked for Aeries since 1999. Hand-picked by our Founder Jerry D. Lloyd, Michele has been an integral part of our Support Staff and Training Staff. Michele worked at South Pasadena USD before joining us at Aeries. 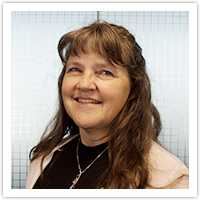 She is also a specialist in CA Attendance Compliance and has taught at the Aeries User Conference on specialized topics. 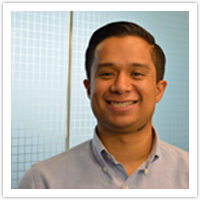 Jonathan is a graduate of Loyola Marymount University, class of 2007, and joined Aeries in September 2015. He received extensive one-on-one training from Chuck Berridge, who was the Aeries Implementation Manager for nearly 9 years. Prior to joining Aeries, Jonathan was an anti-piracy manager at Sony Pictures Entertainment, where he was responsible for implementing global protection schemes for all feature and television content. Jonathan also has an extensive legal background as he was a paralegal for a renowned Civil and Human Rights Law Firm in Los Angeles, California. A true passion for education and business brought Jonathan to Aeries. 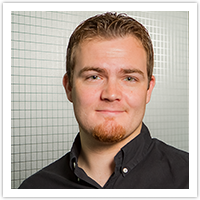 Jonathan will be responsible for all implementations and training and has dedicated himself to being a true partner for all Aeries customers. Lauren worked previously at Certica Solutions as an Application Support Specialist where she was responsible for PK-12 education data quality analysis and support for school districts in Texas and California. She contributed to process improvement practices by being a member of school districts’ data governance teams. She worked with database tables, ETL stored procedures, mappings, and business rules processing using Microsoft SQL Server and Certify to ensure accurate student data for 130 school districts. She attends the TEA TSDS meetings to keep abreast of PEIMS changes and TSDS integrations. Lauren is a Texas and California Departments of Education data submissions expert including file formats and business rules. 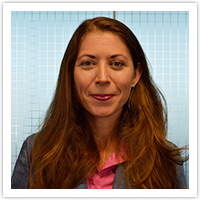 Lauren has been in technical roles since 2002, Aeries Level 2 Support since September 2016, and is now a Project Manager for implementations and data conversions. 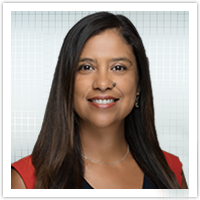 Sonia has been with Aeries Software since 2014. She is responsible for all California and Texas sales and strategy. As the Director of Sales she works directly under Rich Lloyd, VP of Sales and Marketing to develop team sales goals and strategic partnerships. She has been in Educational Sales for 15 years. Sonia studied at Cal State Fullerton College of Business & Economics. She was one of the original members of the multi-lingual notification solution, TeleParent that was purchased by Edline and subsequently Blackboard. The successful startup that was TeleParent provided Sonia with business insight and performance based success. She comes to Aeries with a wealth of sales knowledge and client relationships. She lives with her husband and 3 children. Scott joined Aeries in 2014 after spending 25 years as a motivated technology leader for three school districts in California. Scott has been an Aeries customer since 1999 and has deployed many enterprise systems, leading to a complete understanding of the challenges of rolling out comprehensive systems in schools. 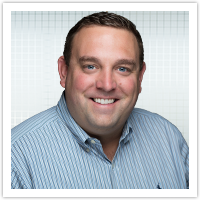 Scott has extensive knowledge of the K-12 educational technology market, including educational policy, trends, products, and funding. As Director of Customer Success, Scott’s duties include identifying school districts' issues that go beyond day-to-day support and delve into how to maximize Aeries. Scott is a great advocate for schools and their educators. 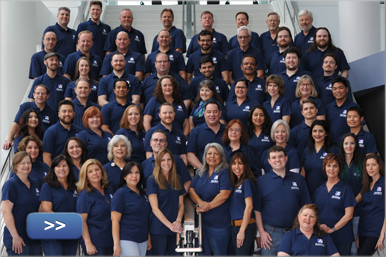 Brent joined the Aeries Software team in 2017 as its first Business Development Associate after serving 6 years as a teacher and Assistant Principal in Texas public school districts. Brent attended the University of Oklahoma and received his Master’s degree in Educational Leadership from the University of Texas at Tyler. Brent’s experience working with administrators, counselors, teachers, and district staff has prepared him for his role developing markets for Aeries. Brent will be working closely with Sales Director Sonia Cassatt to seek out and develop relationship with potential sales prospects to join the Aeries family. 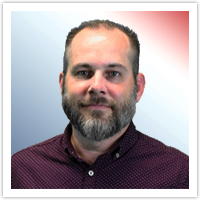 John joined the Aeries family in 2018 as its first Product Specialist after serving at the Whittier Union High School District for ten years in various capacities ranging from Software Developer to Director of Educational Technology. During this time, he had the opportunity to work with many software vendors, helping them to improve their product to better meet the needs of a school district. John attended the California Polytechnic University at Pomona, earning his degree in Business Administration with a focus in Computer Information Systems and Software Applications Development. He brings with him private sector experience in information technology, and sales and operations management.